Inside EMS: Is concealed carry a good option for EMS providers? Inside EMS: Medical marijuana: Is it worth the liability for EMS providers? Inside EMS: Does medical marijuana have a place in EMS? Inside EMS: Should 911 dispatchers be considered first responders? Inside EMS: When should EMS professionals report abuse? Inside EMS: Should future paramedics be required to obtain associate degrees? Inside EMS: Mentoring and mental health: What's new in EMS? Inside EMS: What goes in to organizing an EMS conference? Inside EMS: How much personal liability do individual providers bear? Inside EMS: What does the 2018 EMS Trend Report tell us about the future of the industry? Inside EMS: Is it time to pull epinephrine from the EMS formulary? Inside EMS: Should nonviolent, convicted felons be accepted into the EMS field? Inside EMS: Did a canceled drug trial strain the relationship between police and EMS? Inside EMS: Should EMS providers be able to diagnose patients? Inside EMS Podcast: Are EMS providers adequately trained to manage a death scene? Inside EMS Podcast: What is the true meaning of leadership? Inside EMS Podcast: Who should deliver needed supplies in natural disasters? Inside EMS Podcast: Do national EMS protocols hurt or help our profession? Inside EMS Podcast: When can an EMS provider disobey an order? Inside EMS Podcast: Why did you become a caregiver? Inside EMS Podcast: Why does skill degradation happen in EMS? Inside EMS Podcast: Should EMS response be delayed to determine if an ambulance is needed? Inside EMS Podcast: Does EMS need voice-activated technology? Inside EMS Podcast: What do new EMS providers need to know? Inside EMS Podcast: Is EMS an entry-level job? Inside EMS Podcast: Are paramedics capable of making an alternative transport decision? Inside EMS Podcast: Is EMS a career field or a stepping stone? Inside EMS Podcast: Do certain EMS uniform colors reduce violence? Inside EMS Podcast: Are EMS providers getting enough sleep? Inside EMS Podcast: Why is it that only bad EMS outcomes drive change? Inside EMS Podcast: Do we manage our patients' pain correctly in EMS? Inside EMS Podcast: How important is developing a culture of safety in EMS? Inside EMS Podcast: How can we minimize back injuries in EMS? Inside EMS Podcast: Is EMS a career field or a stepping stone for you? Inside EMS Podcast: Would you want your kids to have an EMS career? The husband and sister of Fairfax County Firefighter Nicole Mittendorff spoke exclusively to D.C.-based radio station WTOP about her death and the allegations of bullying. Quick Clip: What's the best way to keep EMS employees motivated? Inside EMS Podcast: Does EMS rely too heavily on diagnostic tools? Quick Clip: Should prehospital ultrasound exist in EMS? Inside EMS Podcast: Do EMS providers feel comfortable dealing with pediatric patients? Quick Clip: What's different about pediatric assessment? 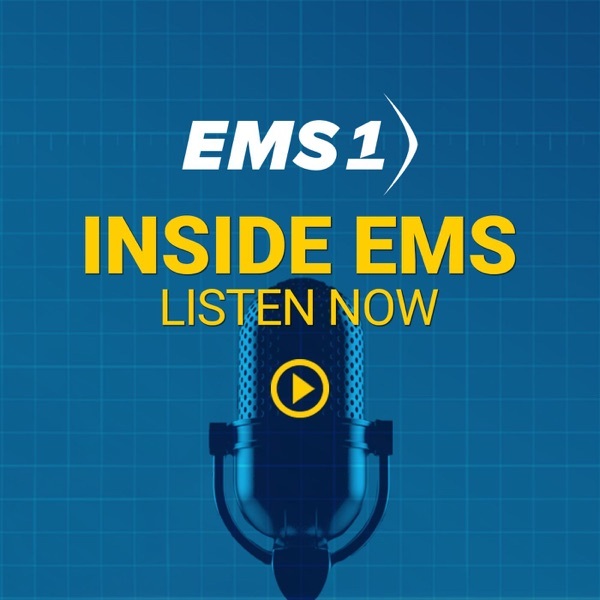 Inside EMS Podcast: Will halting lights and sirens endanger patient care? Quick Clip: Is EMS losing the war on drugs? Inside EMS Podcast: Should EMS providers be armed with less-lethal tools? Quick Clip: Is body camera footage the future of EMS education? Quick Clip: Will Stryker's acquisition of Physio-Control help EMS? Quick Clip: Is there a fix for DC Fire and EMS? Inside EMS Podcast: How can agencies get maximum reimbursement? Inside EMS Podcast: Should EMTs receive better training driving ambulances? Quick Clip: How can EMS providers prepare for a leadership position? Inside EMS Podcast: Do we immobilize too often? Inside EMS Podcast: Will Uber win mobile integrated health care? Quick Clip: How many times can you shock a shockable rhythm? Quick Clip: Is BLS care better than ALS care? Quick Clip: Is it time to arm medics? Inside EMS Podcast: Is it OK for medics to rely on GPS and not know the streets? Co-hosts Chris Cebollero and Kelly Grayson talk about difficult partners and how to deal with them. Quick Clip: What are the best snacks to eat during your shift? Co-hosts Chris Cebollero and Kelly Grayson are joined by Fit Responder President Bryan Fass to discuss nutrition. Quick Clip: Should we ever step over patients? Co-hosts Chris Cebollero and Kelly Grayson discuss the ethics of six responders who followed a man’s request to stop CPR on his wife without having DNR paperwork. Inside EMS Podcast: Should time on EMS calls be tracked? Inside EMS Podcast: Should paramedic schools offer specializations? Co-hosts Chris Cebollero and Kelly Grayson discuss the benefits if paramedic schools were to start offering programs where students can focus on a specific niche in the EMS field. Quick Clip: What are the career paths for paramedics? Guest Donny Richard from an intensive outpatient program discusses the triggers that indicate you may be suffering from a mental health issue and should seek help. Inside EMS Podcast: More tactical medicine training for EMS? After a gunman opened fire on a movie theater in Louisiana, hosts Chris Cebollero and Kelly Grayson ponder whether tactical medicine should be a part of initial EMS training. Inside EMS co-host Kelly Grayson provides information from EMS colleagues who were witnesses at the scene, who say the incident appeared to be a case of excited delirium. Chris Cebollero and Kelly Grayson advise to “shut your mouth and do your job” rather than engage with a member of the public recording a patient in a public place during a call. Host Chris Cebollero talks about the toll heroin is taking on a friend’s daughter, and discuss fatal incidents that involved people launching fireworks from their bodies. EMS educator Bledsoe discusses when is it acceptable to deviate from protocols, and the role of community paramedicine in the future. Quick Clip: What is an acceptable protocol deviation? Hosts Chris Cebollero and Kelly Grayson discuss when it’s acceptable to deviate from protocols with Dr. Bryan Bledsoe, an emergency physician, paramedic and EMS educator. Bledsoe says there should be clinical guidelines, and that he’s supportive of doing something that may not be in the protocols, but is well supported by research and medical theory. Hosts Chris Cebollero and Kelly Grayson talk with Dr. Bryan Bledsoe, an emergency physician, paramedic and EMS educator, on how to improve EMS training. Bledsoe explains that “EMS is not linear” and we need to change the initial training for EMS providers. Quick Clip: What does a blood pressure reading really measure? Co-hosts Chris Cebollero and Kelly Grayson provide advice on how to get a good blood pressure reading, especially when in the back of an ambulance. Inside EMS Podcast: Criminal charges for EMT who didn't respond? Co-hosts Chris Cebollero and Kelly Grayson discuss whether an EMT who refused to respond to an infant in cardiac arrest should be held criminally liable for the infant's death. Hosts Chris Cebollero and Kelly Grayson go head-to-head with a mock patient handoff report; how do your skills stack up?